Salon c - carolyn bunch, owner. This award, nominated and voted on by the public was presented to a business with fewer than 25 employees that has demonstrated sound business practices, leadership, productivity and quality, sound employee relations and a commitment to the broader community. 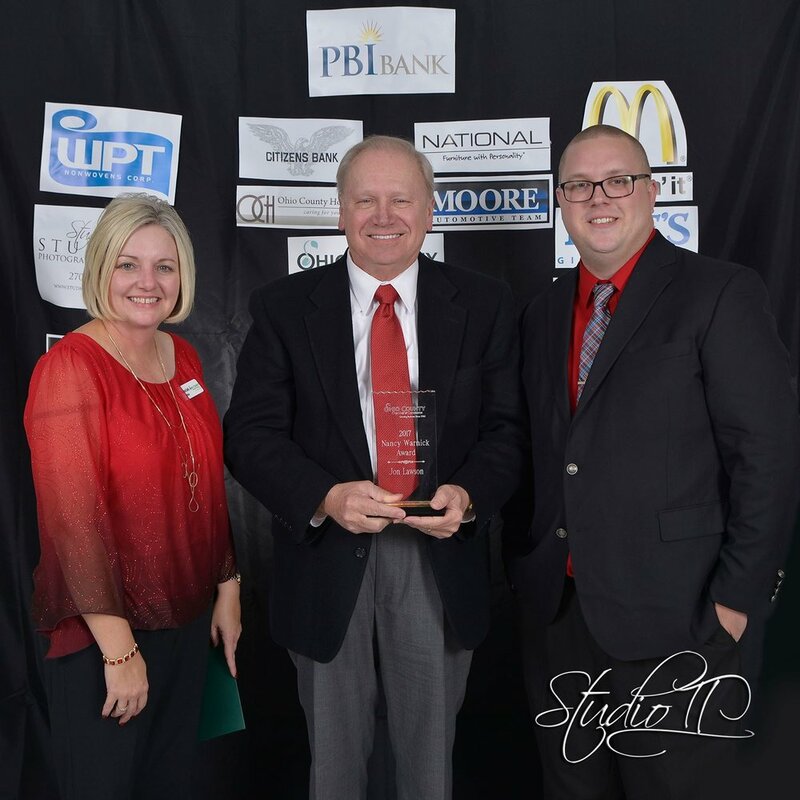 The nancy warnick award- jon lawson - This award is an Annual Award that has been given for several years by the Board of Directors in memory of Nancy Warnick who was a strong supporter of the Chamber and the Ohio County Community. mr. lawson was chosen for his commitment to Ohio County and the Chamber. lifetime business achievement award-- - This award is presented to vince tanner of tanner management. mr. tanner has proven a commitment to doing business in Ohio County and demonstrated business leadership and sound business practices. He has shown a dedication to employees and the broader community. 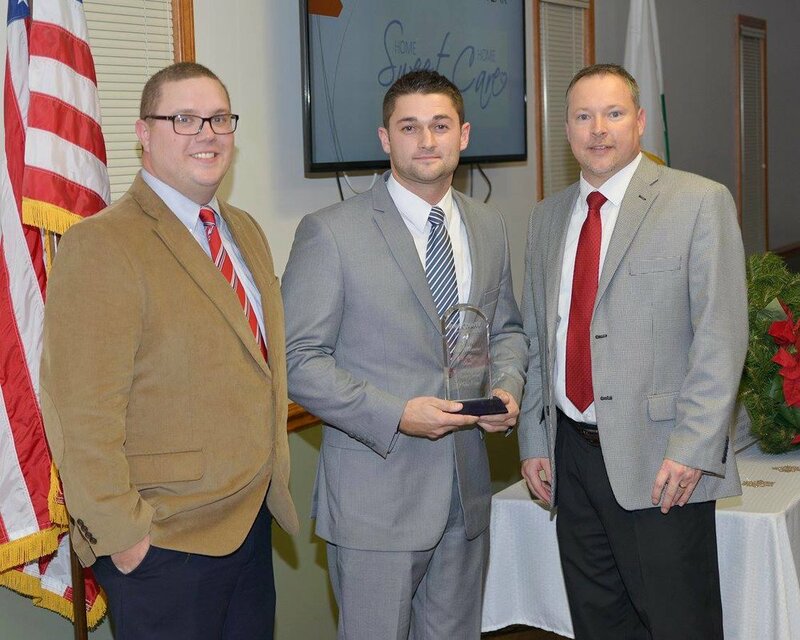 chamber member of the year award - This award is presented to oc monitor and owners lee and dustin bratcher for their continued show of support to the chamber and ohio county. 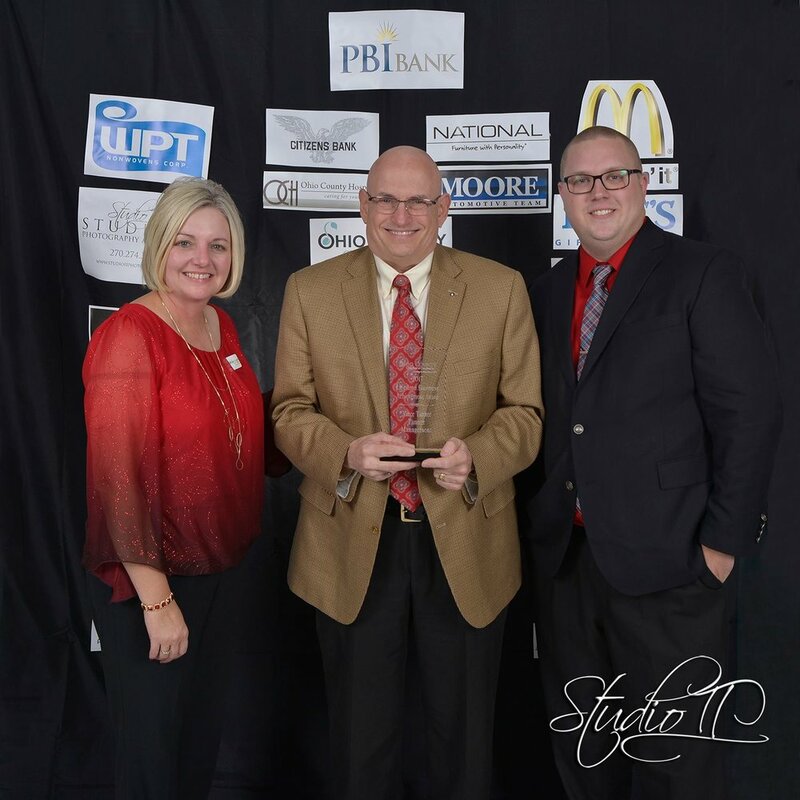 large business of the year award-- This award is goes to national office furniture and is presented to john ramburger for a proven commitment to doing business in Ohio County and sound business practices. for showing a dedication to employees and the broader community. 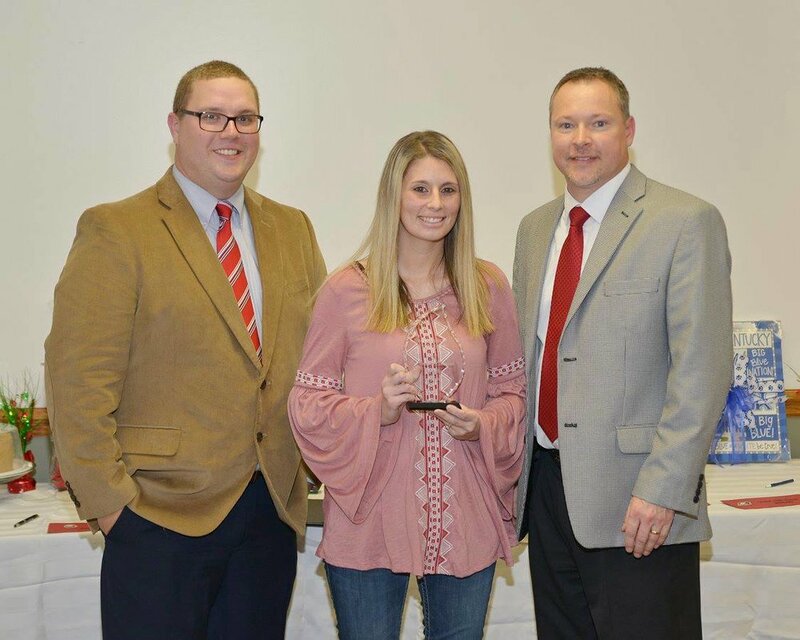 people's choice award- new business of the year-- This award is goes to paisley pig and owner kelsey wallace in recognition of the initiative and innovation demonstrated and for doing business in ohio county. 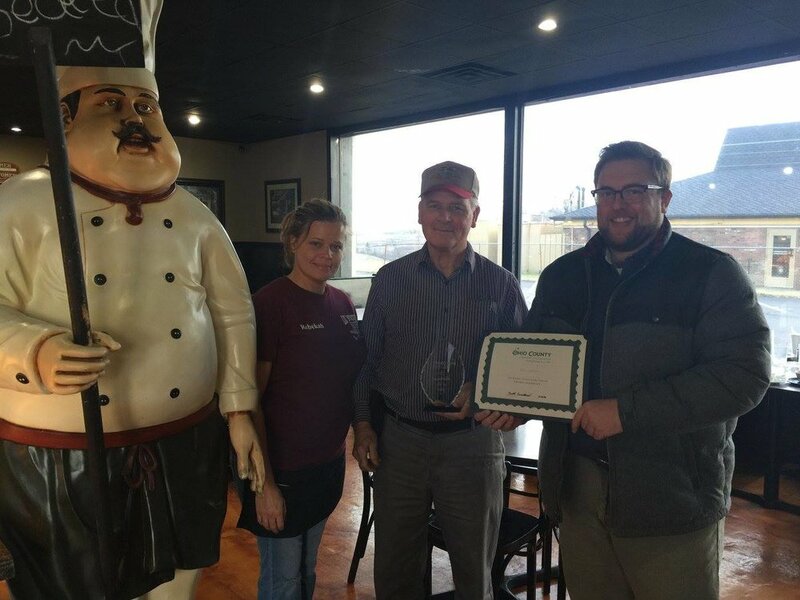 people's choice award- favorite place to eat-- This award is presented to Rodney's southern homestyle cooking as ohio county's favorite place to eat. next 2 new consignment, This award, nominated and voted on by the public was presented to a business with fewer than 25 employees that has demonstrated sound business practices, leadership, productivity and quality, sound employee relations and a commitment to the broader community. this award, nominated and voted on by the public, goes to home sweet home care and is presented to kyle martin. the chamber member of the year award goes to ohio county hospital for their on going support and dedication to the chamber and ohio county. this award, nominated and voted on by the pubic, goes to lil' stevie's as the public's favorite place to eat in ohio county. Rice's pharmacy -levi rice accepts the People's Choice Award for Large Business of the Year. This award, nominated and voted on by the public was presented to a business with more than 25 employees that has demonstrated sound business practices, leadership, productivity and quality, sound employee relations and a commitment to the broader community. LIL STEVIE'S - STEPHEN EDGE ACCEPTS THE AWARD FOR LIL STEVIE'S, CHOSEN BY THE VOTING PUBLIC AS THE BEST PLACE TO EAT IN OHIO COUNTY. Rice's pharmacy - David Figg, Rice's, accepts the People's Choice Award for Large Business of the Year. This award, nominated and voted on by the public was presented to a business with more than 25 employees that has demonstrated sound business practices, leadership, productivity and quality, sound employee relations and a commitment to the broader community. National Office Furniture - The award was presented in recognition of the initiative and innovation demonstrated in the new product line startup at the Fordsville plant. State representative tommy thompson - This award was presented to Representative Thompson in appreciation of his continuing active interest in the well-being of the Chamber and his significant contribution to the overall success of the Chamber. HAYWARD SPINKS - This award recipient is chosen by the Chamber of Commerce Board of Directors. Having been involved in business for a many years, Mr. Spinks has proven a commitment to doing business in Ohio County and demonstrated business leadership and sound business practices. He has shown a dedication to employees and the broader community. CHARLOTTE WHITTAKER - This award is an Annual Award that has been given for several years by the Board of Directors in memory of Nancy Warnick who was a strong supporter of the Chamber and the Ohio County Community. 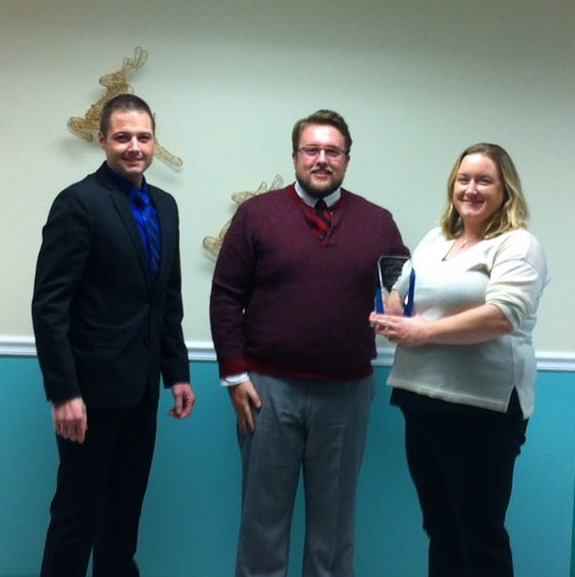 Mrs. Whittaker was chosen for her commitment to Ohio County and the Chamber.